May we present something new to you? 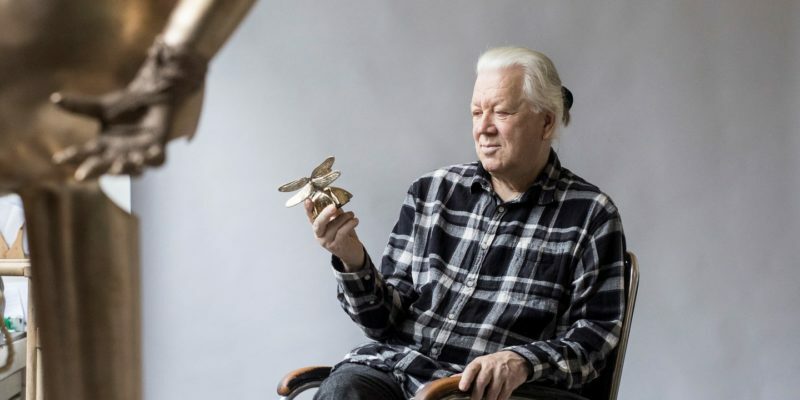 For this trail, sculptor Pekka Kauhanen has chosen two of his own works and three public sculptures that have significance for him. Gunnar Finne’s ‘Fact and Fable’ was unveiled in 1932 as a memorial to the national author Zacharias Topelius. ‘The Shipwrecked’ from 1898 was Helsinki’s first outdoor sculpture that was not a memorial for a particular individual or event. Marjo Lahtinen’s ‘Torso’ is made of an extremely rare type of red granite from Vesanto, which is pink in colour. The sculpture was unveiled on Helsinki Day, 12 June 2008.